Our Bioremediation program, available for companies throughout the Upper Midwest including Madison, Milwaukee, Eau Claire and Green Bay, is a bacteria-based solution that targets the source of sanitation problems. It is proven to get rid of grease, fats, oils and rotting organic debris. As a side benefit, Bioremediation helps reduce fly, cockroach and ant breeding and feeding sources. Bioremediation also reduces foul odors caused by decaying organic material. The bioremediation service works by using beneficial bacteria strains to digest oil, grease and organic buildup, enhancing the normal biological activity that takes place in all waste systems. Less grease and debris directly supports your regular sanitation and pest prevention program. Your Wil-Kil representative will work closely with you to develop a customized service program for your commercial kitchen environment. Bioremediation products contain bacteria that are infused into drains, drain lines, grease traps and hard-to-clean areas. The living bacteria attach to the surface where they break down organic material that sticks to pipe and tank walls. The bacteria then digest the organic debris, changing it to carbon dioxide and water. Without the living bacteria, the enzymes would simply release the grease into the effluent system. Bacteria continue to reproduce, compounding the benefits of your bioremediation program. To learn more about the bioremediation services available in your area, please contact us today. Bioremediation is an increasingly popular service with many of our commercial clients including restaurants, hotels, health care facilities and the grocery industry. Our bioremediation service does not use toxins or chemicals. The microbes are simply bacteria that consume organic materials and reproduce. They can be introduced into drain lines and grease traps in several ways. For example, they may be pumped into drains through a time-release dispenser or applied in a foam, providing optimum placement and staying power. What Kind of Cockroach is this and is it Dangerous? 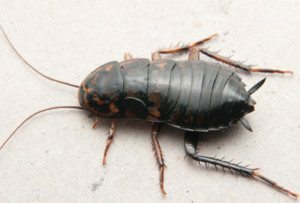 Pest infestations in businesses can seriously affect their image and reputation for a long time to come. Even with a well-kept facility, some pests are really good at sneaking inside and trying to take over. Thankfully there are ways that business owners and managers can both prevent pests and treat for existing infestations. Have you heard of bioremediation? If you are in the food service industry, chances are you have. Bioremediation is any process that makes use of microorganisms or their enzymes to sanitize a contaminated environment, and this is especially important in the food service industry, where cleanliness can be of the utmost importance. At Wil-Kil, we take our commercial bioremediation services very seriously. 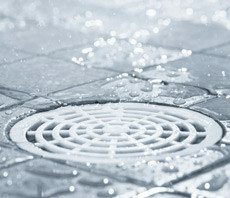 If you have bad odors emanating from your restaurant kitchen, your drain line or your grease traps are clogged, you may lose customers and your reputation can become tarnished. We understand how badly a drainage problem can be for your bar, restaurant or food processing facility and that’s why we offer our professional bioremediation services throughout Wisconsin, Minnesota, Northern Illinois, Northeast Iowa and the Upper Peninsula of Michigan.